The Philippines is in the continent of Asia, an exotic country noted for her coconut trees along the white beaches and for volcanoes that provide rich soil for farming,and the seas that host thousands of species of fish and other sea resources. It is a country of great beauty and natural resources but also of great natural calamities. Others call it as country in the fire belt. It can be rocked by volcanic eruptions, landslides, floods and typhoons or even tsunamis. It claims itself the only Christian nation in the Far East. It has its Christianity transplanted by the Spanish conquerors who came to the country with both the sword and the cross on their hands.The major church is the Catholic Church and a growing number of protestant denominations can reflect the historical visits of the missionaries from USA and other parts in Europe. The Philippines comprises of 7,100 islands, a country which is agricultural but has its rich fishing industry because of her being a country of islands connected by waters. The major means of transport is ships or boats. It is often identified as a country of three major islands: Luzon, Visayas and Mindanao. The presence of these three big islands is seen on the Philippine flag. The Philippines was once a colony of Spain for 350 years, a colony of USA for 42 years and was once under the Imperial power of Japan for over a period of three years. cannot be conquered by your enemies. Philippines has 87 languages and dialects. The national language is called Tagalog, officially known as Pilipino. It is a language which is taught as a subject in schools, but not used as a medium of instruction for the subjects. Tagalog is spoken in Manila area and up north in Luzon but many surrounding provinces have their own languages. 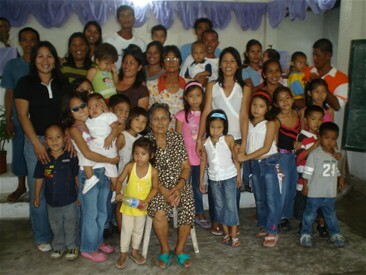 Cebuano language is spoken mostly in the Visayas and Mindanao area. The Philippines follows the American system of education, the American grading system, and subjects in public schools and universities are taught in English. Elementary School is from grade one to grade six. A child is enrolled in the first grade at the age of seven. The Elementary education is free and a must for all children. There is also the Kindergarten school which is most often run privately. Kindergarten kids are from 4 to 6 years old. It is costing a sum of money to send a child to a kindergarten school and most often the children of the middle class families are those who avail of this service. Secondary Education in the Philippines are from the age of 12 to 16. It runs for four years. In the past, the parents paid for the monthly tuition fees for High School education of the students. Now the secondary schools are getting subsidies so that in many places it is now possible for students to have free tuition fees. Studies at the college and university are shouldered by the parents. Common parents find it their responsibility to educate their children, and it is at this stage that much struggle is exerted to secure money to support the college or university education of a son or daughter. Often it is the practice that all members in the family are made to contribute for the education of a sister or a brother. Some older sons and daughters who feel responsible for the education of the younger brothers or sisters decide to leave the country, find a job in USA or elsewhere outside the Philippines and send the money to support the family back home. However, there exist also state colleges and universities which are supported by the state, which allow the talented children of poor families to study without monetary obligations. There is also a strong competition here because one who enrolls must also show that he deserves by achieving good grades in all subjects. Basically, the Philippines is an agricultural country with farming as the major means of occupation. It has copra from the coconut trees, fruits and vegetables and large plantations of coffee, bananas, cacao, avocado and pineapples which are practically run by transnational corporations. 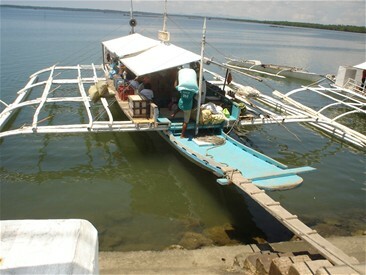 Consisting of many small islands, it is not surprising that the Philippines has also fishing as another major means of livelihood. Rich in sea resources and only equipped with the very simple methods and facilities for fishing, the local people in these islands, have for sometime struggled with the problem that big fishing boats owned by the Japanese have posed. Philippines is a country of rich natural resources in land and seas. But the unjust sharing of land has made it so that the rich own large tracts of land and the ones living who are tilling the land are called tenants. Tenants work for the landlord and at harvest time the tenants share the produce of the land with the landlord. I cannot remember now the percentage of sharing but I know during the time I was there was that, the tenant got very little of the total share although he and his family do labor for the land to produce. The Philippines has introduced a wide range of Land Reform Program in order to introduce a change in the land ownership. But after all these decades, the situation has not really changed much. Those in the political arena own large tracts of land and their political power make them untouchables from the law. With the difficulty of introducing change within the powerful rich who also have the political power to protect their own selfish interests, change cannot be expected much to bring about a great change in the lives of those who are in the weak segment of society. Corruption is still a societal disease, reinforced by a cultural value we call, "utang na loob" which in English means, debt of gratitude. If a favor is done, then one who receives such a favour is more obliged to repay it in whatever form. When someone in authority does something for someone, making one`s intention fulfilled in an easy manner, then such a person who receives such a favor is obliged to give back, to pay back the favour that is received. If someone in office, signs her /his signature on an application, for example, which brings a positive result to the applicant, then the applicant feels obliged to repay by giving gifts. This system has been seen as a natural thing, a part of the Filipino cultural blood of being grateful. And this system seeps through the political system, that those in authority who give more favours, receive more paybacks or what we call "utang na loob". Of course, there is also a growing concern to scrutinize this value and to seek to maintain a life of gratitude without spoiling the ethics of government services. Brain drain is also a problem. A fresh graduate from university always has in mind the wish to leave the country and to go to USA or anywhere in Europe to earn a higher salary. There is a growing status for one who decides to go out and search for a greener pasture because everyone knows that an exodus outside the Philippines will return with more inflow of cash dollars or euros into the family of the workers or into the Philippine economy. Those who are educated as doctors, nurses, engineers or teachers are much willing to take up the janitorial job in another country so long such a job can offer a better salary than how much is received in the Philippines. A carpenter for example, receives a wage of two hundred pesos a day which is equivalent to 25 kroner. A teacher who works from seven in the morning to five in the afternoon receives about 10 to 15 thousand pesos which can be equivalent to 2,000 to to 2,500 kroner. No wonder leaving the country for work outside becomes very popular. What seems to be normal in the Philippine politics is that vote buying has become an accepted norm.. A voter sells his/her vote for few pesos.A political candidate, in the struggle to win, spends a huge sum of money to reach out the voters by this form of bribery. A cultural value called "utang na loob" or debt of gratitude is once again being exploited. A Filipino who receives a small favour in terms of few pesos feels obliged to pay back what he/she receives, even paying the favour by his/her sacred right to vote. I believe that change in the Philippine situation can only take place in the changes in the mind and heart. This I mean, education among the masses, a kind of education that enables every Filipino to critically analyze the societal structures in our religion, culture and politics. By education every Filipino is trained to be an active participant in shaping our own society and in forging new paths for development and common liberation. There are many hindrances to this road. The Philippines is a country of many languages and islands, separating people by great span of waters. As a country in the fire belt, the Philippines is always visited by typhoons and super typhoons. THere is a need to review the rehabilitation programs the country has, how quick they are able to help and distribute the relief goods meant for the calamity victims, without being stopped by the hands of corruption. Filipino values must also be analyzed on the role they play for national development or stagnation. Communication for common understanding is a big challenge. 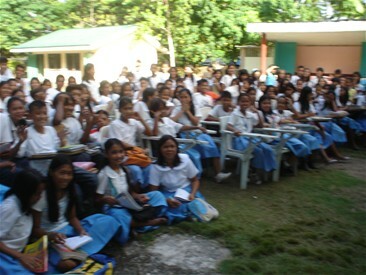 Liberating education plays a great role to paving a great Philippines. It's still a long way to sail on the Philippine waters! 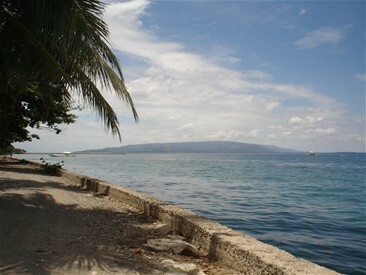 A sight on the way to Negros, a visit to Silliman University in Dumaguete City.